This interview is centered on the artist's The Sketchbooks project, an ongoing exploration of found photographs, with a focus on the most recent iteration: The Sketchbooks IV. What is The Sketchbooks project, how did the idea take shape, and what compelled you to make the first one? 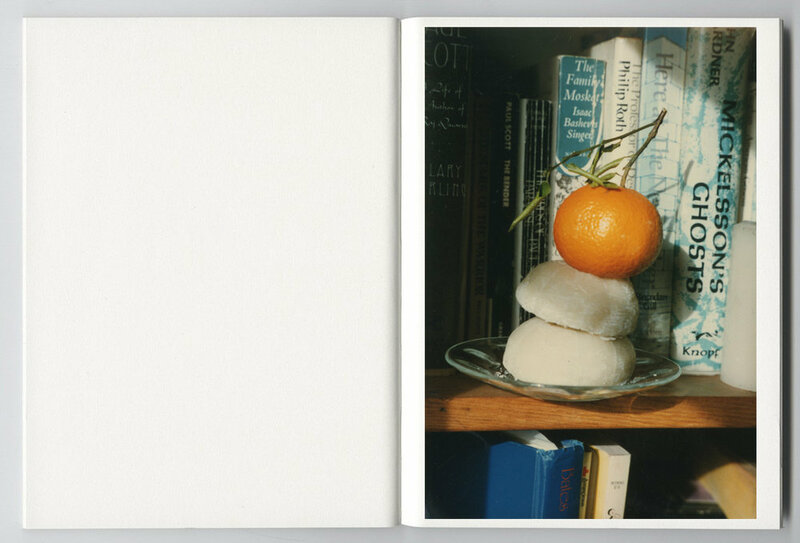 The Sketchbooks project is a series of photographic notebooks I started in early 2013, in which, using found photography I explore the possibilities of the photographic language and its narrative qualities. The idea started while browsing in an antique shop in the Bay Area I came across a box full of old snapshots, I started going through all of them and I was just blown away by some of the images I found so I decided to keep them and start looking for more in other antique shops, flea markets etc, after a while I started playing with the images, sometimes mixing them with some of my own to complete or suggest new meanings, creating little sequences of images that communicated with each other, these sequences became longer and longer until I decided to put them together in a small blue moleskine and that’s how the first Sketchbook was born. Since then I’ve been collecting images and putting out one sketchbook per year as a parallel practice to my editorial and personal work. I also felt like in the digital era we live in, where we spend a lot of time in front of screens and being exposed to thousand of images per day (specially through social media), found Photography was an amazing, neutral source of inspiration that was not part of/influenced by any visual trend that was popular at the time, revealing something really pure and genuine about the medium. Does each book in the series have a particular theme, or does something else drive the editing and sequencing process? Yes there’s indeed a theme for each of the sketchbooks although the idea is that the viewers find out by themselves based on the photographs and sequencing of each volume, usually the cover and back cover are the hints of what each sketchbook is about, an important aspect of the sketchbooks besides the obvious lack of authorship is the complete absence of text. The intention is that these little narratives are exclusively driven by images, and the viewer respond and get their own ideas based on what they see instead of on what they could read in a title, statement etc. What about the most recent in the series, The Sketchbook #4, what thread motivated these specific images? The starting point for The Sketchbook #4 was Still Life Photography in its widest meaning, and using flowers as the main symbol to represent it, the images aim to question the boundaries of the genre as well as to echo the different aspects of Still Life Photography, from the history of it in the fine art photography context to the ways that it has traditionally being used in a more commercial level, the cutouts images for example are a direct reference to the probably most extended use of the genre which is commercial product photography, another good example is the 35mm slide of a reproduction of one of Irving Penn’s iconic images of cigarette butts, when I found that slide I was doubly attracted to it, first due to its historical relevance in still life photography, which would help the viewer understand the theme of the Sketchbook without being too obvious, but I was also interested in the idea of the slide as an object and therefore as a still life itself, so I instantly decided to include it in the final edit, these are the kind of connections I’m interested in when I’m working on a Sketchbook. Has the exercise of putting these together revealed anything surprising to you about your own interest in photography? Yeah of course, I’m pretty obsessed with Photography in general, not just with taking photographs, so for me (and specially coming from Spain where it isn’t common to find photographs in antique shops) having access to all these images was a super exciting and eye opening experience, it was like all of the sudden a door had opened and there was all this vast, unexplored material that wasn’t just extremely inspirational but also had an educational value as all these images in a way, talk about America and its relation to Photography. Another important aspect that this practice has taught me is the vital importance of the editing process over the idea of the single image and how powerful and amazing image association can be when done right. 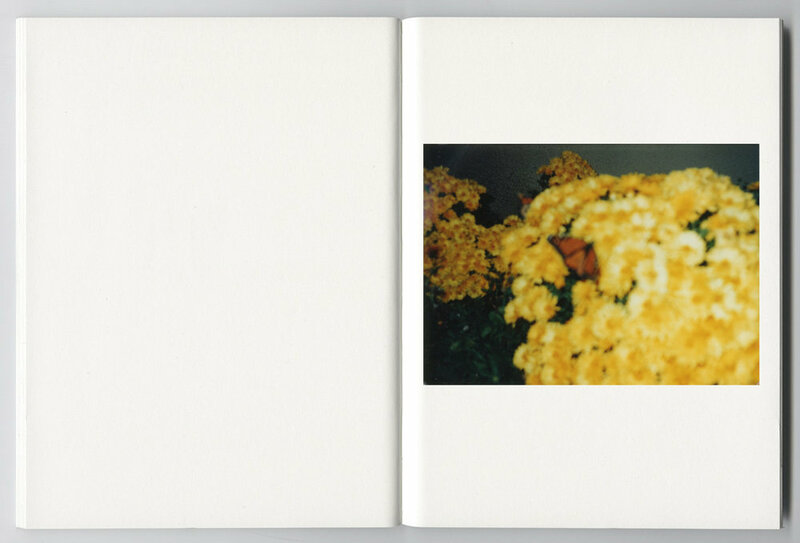 How do The Sketchbooks relate to your photography practice as a whole? They are sort of a field book in which I lay out ideas and try out different approaches in a trial and error sort of dynamic, sometimes those ideas become the beginning of a larger body of work, like it happened with my project Façade for example, for which the Sketchbook #2 served as a starting point, but the idea is that the Sketchbooks communicate back and forth with both my personal series and my editorial work, I think that every artist is drawn to certain motifs, so in my case I found myself picking old photographs that depicted some of those motifs that I’m attracted to and resembled my own work, later on though I also realized that when photographing I was unintentionally recreating some of those old images I found, so it’s a self feeding cycle that I find crucial for my artistic practice.